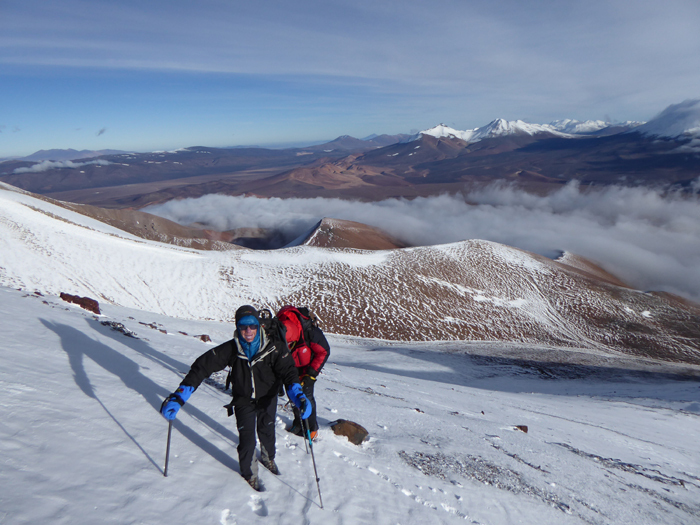 This little known peak west of Ojos del Salado is normally climbed from Copiapo in Chile. 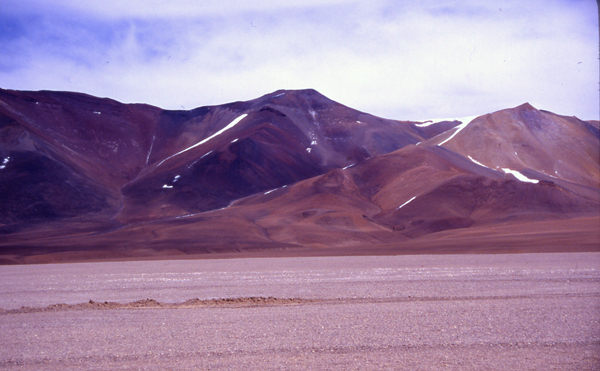 Along with it's near neighbour, Vicuñas, it is often climbed as an acclimatisation peak before an ascent of the active volcano Ojos del Salado. Barrancas Blancas as seen from the main road to the north. Another view of the north side of Barrancas Blancas after an unusual summer snowstorm. We can organise guided ascents of this peak. For details of how to climb this and neighbouring peaks please see our guidebooks, which are available in English, Spanish, Polish and French editions, direct from us or from all good bookshops and mountaineering shops.